City Council to review resolution targeting human rights violators after learning of association with BDS. JTA - The New Orleans City Council wants to reconsider a controversial resolution it passed last week that lends support to the boycott, divestment and sanctions movement against Israel. 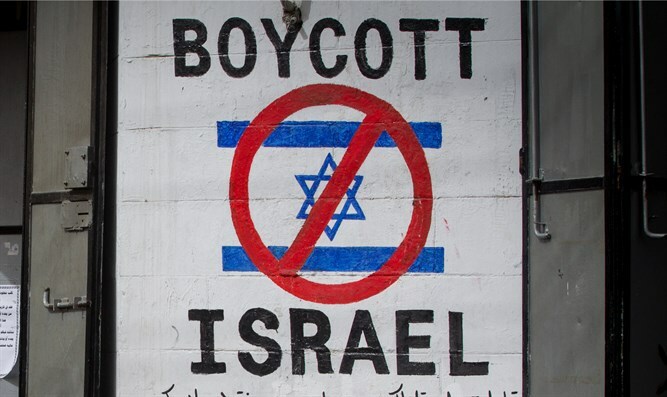 The resolution to boycott investments with human rights violators, which on January 11 passed the Arab-Israeli conflict, but BDS and anti-Israel activists claimed the passage as a victory for their cause. Since the vote, City Council President Jason Williams and other council members have told local media they will move to reconsider the resolution at their next council meeting. Williams on Wednesday called for reconsideration of the resolution, saying that he was not aware of the boycott movement or its mission when he and the council voted, the New Orleans Advocate reported. Williams also said it was a mistake for the council to introduce and vote on the unadvertised measure at the end of a nearly six-hour meeting, and acknowledged that the city council did not give people enough time to voice their opinions. Five of seven city council members, including the mayor-elect, co-sponsored the resolution. The resolution was pushed by the New Orleans Palestinian Solidarity Committee and the language used in the resolution reportedly was crafted by members of the committee. The resolution was written and introduced by Mayor-elect LaToya Cantrell as part of her Welcoming Cities initiative, the local television station WWL-TV reported. At the start of the Jan. 11 New Orleans City Council meeting, the Jewish Federation of Greater New Orleans was honored with “a special proclamation for their tremendous philanthropic work and positive impact on the entire New Orleans community.” Its Community Relations Council opposed the measure, saying it was voted on without the opportunity for dissenting voices to be heard.